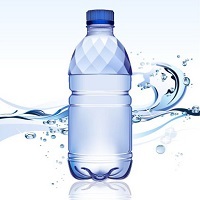 Packaged Natural Mineral Water is actually drinking water which is packed in plastic or glass water bottles. It is purified and processed form of water. According to a study conducted by Bhabha Atomic Research Centre (BARC) packed natural mineral water was adulterated with high levels of certain carcinogens. Taking into consideration the health of the people, the Bureau Of Indian Standards has made it obligatory for all the manufacturers who intend to set up the processing unit to attain the Indian Standards Institute (ISI) mark from them. The standards issued for bottled water clearly indicates the purification processes, lighting, labelling regulation, hygienic conditions ,etc.